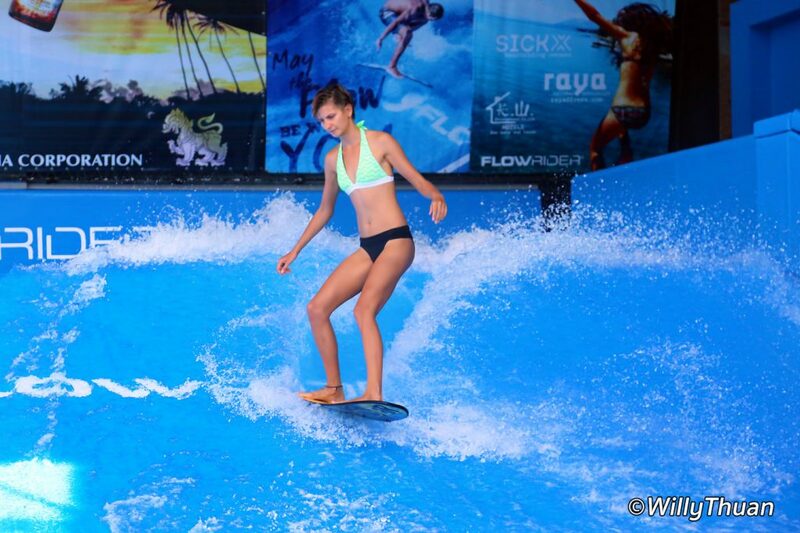 Surf House Patong (or Flow House Phuket) is a fun activity in Patong Beach inspired by the success of the Kata Beach branch Surf House Phuket. Yes, it sounds like surfing but don’t go imagining real a surf board on immense artificial waves, it’s more like a soft version of wake-boarding. Thankfully it is also a lot easier than real surfing or even wake-board. 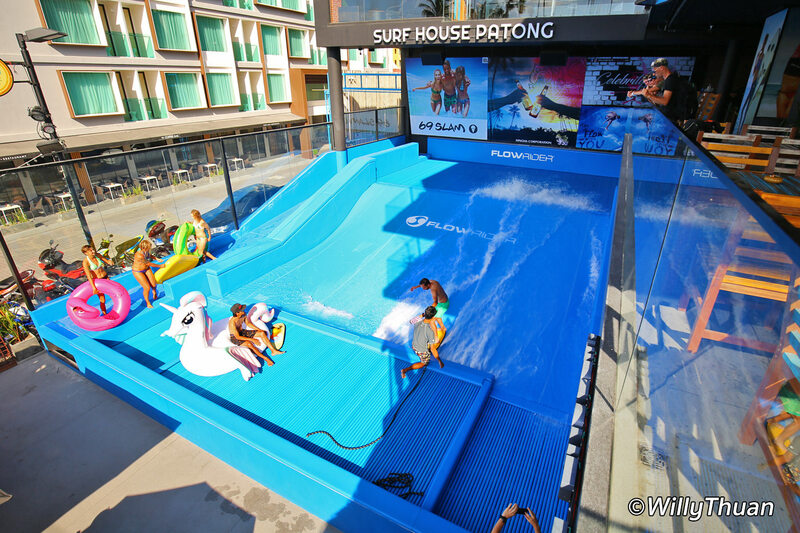 With a prime location near Bangla Road and the beach nearby, Surf House Patong an eye magnet. Basically anyone can do it, even you, and it’s very safe since there is in fact no more than 20 cm of clear water rushing above an inflated rubber curved surface. If you fall, and you will, you’ll bounce back and the flow will propel you to the back of the slope where it’s flat and quiet. On your first lesson a staff will ask you to hold on to a rope and even though you’ll feel wobbly, it’s not that hard. Flow house is also (and I’m tented to say mostly) a party place with a DJ playing great and loud music, lots of places to sit and enjoy a large choice of beers and cocktails until late at night. 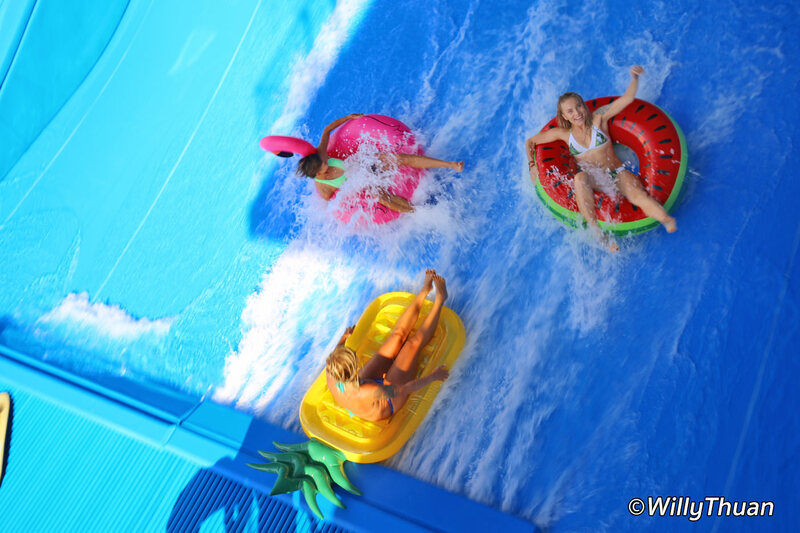 They also offer some ‘free surf for ladies’ on some days, from 3 pm to 5 pm, a kind of happy hour. 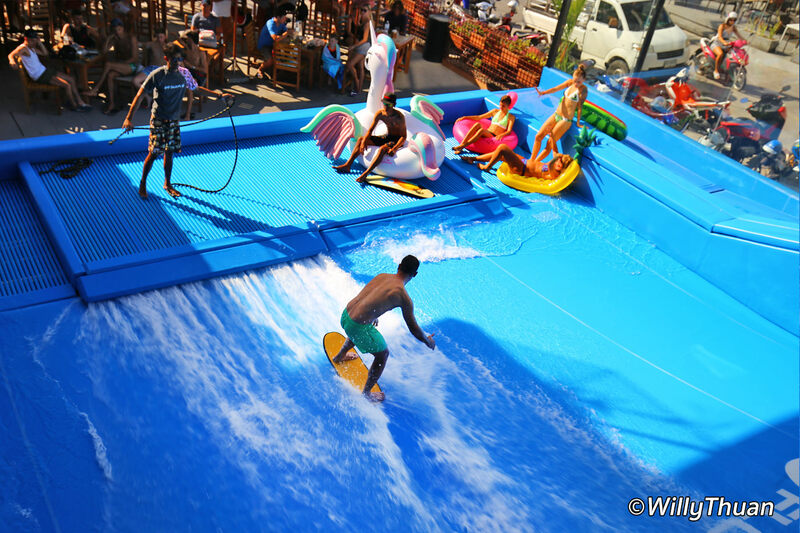 On the downside, riding the wave at Surf House Patong is not cheap. First because only two surfers can play at the same time, and second, you can’t surf too long either for the same reason. Anyway, watching pros gliding effortlessly on tiny boards is entertaining enough to compensate for the wait.